This month, Animefringe tells it like it is in our reviews. 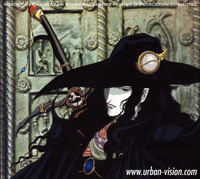 We have the skinny on the new Vampire Hunter D movie that made its way to theaters, as well as a surprising look at Volume 2 of Amazing Nurse Nanako and four other must-read reviews ranging from anime to games to music. And just what's the deal with two reviews on SNK and Capcom stuff? Anyway, this month's issue has a little bit of it all, so be prepared to be enlightened. A young woman is kidnapped by a vampire, and the half-vampire bounty hunter D is hired to rescue her (or kill her if she's turned). The woman's family also hired a band of human vampire hunters who have a head start on D. With his trusty horse and sword, D takes off in pursuit of the Vampire's carriage. 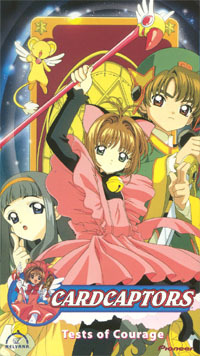 Nelvana's infamous dub of Card Captor Sakura finally comes to video and now Sakura and Li must brave the dubbed world in order to find their lost motivations. Together the rival's must somehow work together in order to capture the Clow Cards that Sakura accidentally released from the Clow Book. Pokemon beware, Cardcaptors now has merchandise. With more fan service than the first volume, more outrageous situations than a really funny series that I can't think of, and more of the same great characters. The second volume of Amazing Nurse Nanako will blow you away and make you scream for more. This is one volume that does it all right and delivers the laughs to make even a Trigun hater break a smile. After creating the bloody path to the Meiji era in Kyoto, Japan, the Hitokiri Battousai vanishes without a trace. 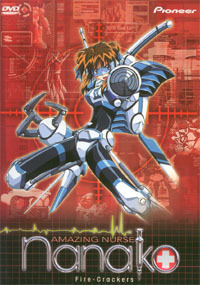 Ten years later, he appears again, and AnimeWorks has liscenced and released this series in the United States and Canada. Relive the "oros" and "degozarus" as we explore Rurouni Kenshin Wandering Samurai Vol. 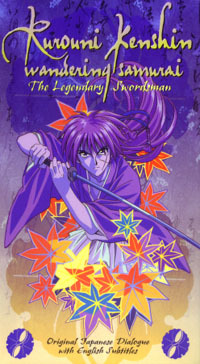 1: The Legendary Swordsman. Hado-ken! Shoryu-ken! Half-circle, punch, kick... It's the same game it was 10 years ago, but now there's more of it! 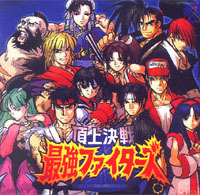 Capcom vs. SNK lets you pit your favorite Street Fighter II characters against the heroes of SNK's King of Fighters and Fatal Fury. With the Groove System, and Variable Team Play, it's a whole new game, right... right? 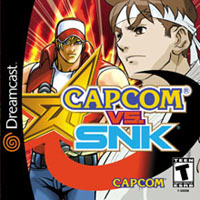 SNK vs. Capcom, Neo Geo Pocket style! The arcade version rocked the world, and now home consoles everywhere. As for the music, how great was it?… Rather, how was it -- Neo Geo Pocket style? Is it worthy of your pocket money?